If you’d like to include a listing for ZSL Whipsnade Zoo on your publication, website, tour itinerary, brochure or newsletter, please feel free to use the images and text provided below. Your can also download free ZSL Whipsnade Zoo images for promotional use (terms and conditions apply*). If you require any further information, please contact trade@zsl.org . Set in 600 acres of panoramic scenery in the beautiful English countryside, ZSL Whipsnade Zoo is a big day out on an altogether different scale. ZSL Whipsnade Zoo is the UK’s largest Zoo and is one of the largest wildlife conservation parks in Europe! Set in 600 acres of beautiful scenery with over 3,800 unique animals and 205 different species ZSL Whipsnade Zoo is an adventure you will never forget! Ride through wild animal territory on the Jumbo Express Steam Train (seasonal, charges apply), park your car at designated spots around the park or see animals up close from the safari bus or on foot. Set in 600 acres of panoramic scenery in the beautiful English countryside, ZSL Whipsnade Zoo is a big day out on an altogether different scale. Explore the sights, smells and sounds of the UK’s biggest zoo and meet some of the largest animals on the planet. With over 3,800 amazing animals to discover, as well as live demonstrations and talks featuring sea lions, brown bears and elephants to name but a few, there are loads of reasons to visit ZSL Whipsnade Zoo. Watch lions, tigers, hippos and cheetah out and about in their huge outdoor enclosures. And visit our exciting Giraffe Heights exhibit, which brings you face-to-face with our giraffes from a nine foot high viewing platform. Set in over 600 acres of beautiful parkland, ZSL Whipsnade Zoo is an escape from the urban jungle. With over 3,800 amazing animals to discover, as well as displays featuring sea lions, brown bears and elephants, there are loads of reasons to be wild about ZSL Whipsnade Zoo. Escape on an adventure across acres of beautiful English countryside with fantastic views across the Chiltern Downs and watch lions, tigers, elephants, hippos and giraffes out and about in huge outdoor enclosures. Take yourself back to a time when beasts walked the land, where wolverine peeped out from shady woodlands and moose stalked the forests in days gone by at Wild Wild Whipsnade. Meet the bears, European bison, lynx and moose that were once commonplace in Britain, along with the mystical wolverine. Little ones will be climbing new heights with Hullabazoo Adventure Play outdoor play area situated next to the very popular Hullabazoo Indoor Play and Hullabazoo Farm. Hullabazoo Adventure Play has been specially designed around animal movement, giving youngsters the chance to slither and slide as they run wild and test their agility against one another. Ride through wild animal territory on the Jumbo Express Steam Train* (seasonal, charges apply), park your car at designated spots around the park or see animals up close from the safari bus or on foot. For those wanting to add a more ‘hands-on’ experience to their trip, Whipsnade Zoo offers you the chance to be a keeper for the day, where you can help out with routine tasks and care for the animals! There are daily activities and feedings to see and to get involved in for free during your day, and plenty of great chances to get up close and personal with unique, rare and beautiful creatures! 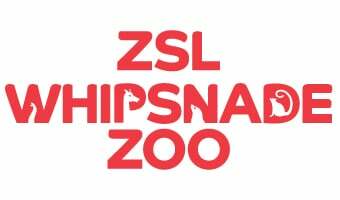 Plan your coach trip to ZSL Whipsnade Zoo.